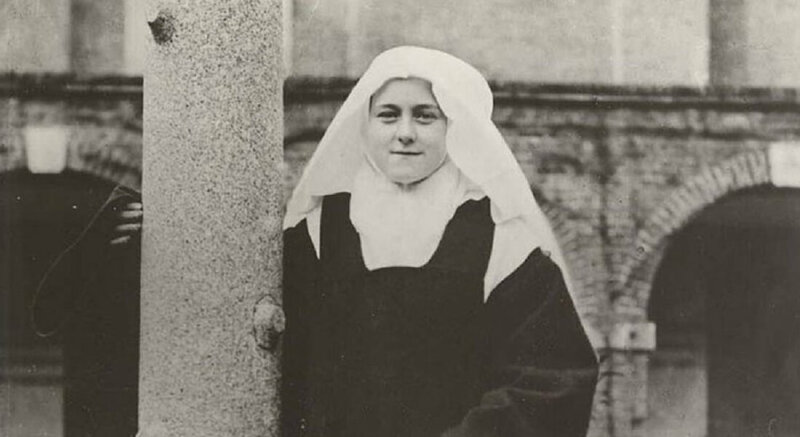 “I will spend my Heaven doing good on Earth!” For more than a century, Saint Thérèse of Lisieux, also known as “The Little Flower,” has captivated countless minds and hearts. Her simple and pure heart burned with a deep love for our Lord, and that love overflowed into the lives of many. She daily inspired those who knew her, and she continues to inspire those who read her story. Her autobiography captures the beauty and profundity of her love in the most tender and affectionate way. Her story reveals how devoted she was to Jesus and how she longed to be with Him forever in Heaven, even from the earliest moments of her childhood. This book offers 99 short lessons, reflections and prayers from the life of Saint Thérèse of the Child Jesus and the Holy Face. The lessons are based upon Saint Thérèse’s own words as she shared her faith and her heart in the pages of the three manuscripts of her autobiography: Story of a Soul. Each subsequent reflection attempts to capture one of her countless virtues so as to savor the “fragrance” of this precious little flower of God and to apply it to the reader’s daily life. The prayer to conclude each lesson is not written only to be read, it is written to be prayed. You may find it helpful to pray that prayer slowly and meditatively at the end of each lesson and return to that prayer at the end of each day, especially to the prayers that are most pertinent to your life. The reader might wish to use this book as a daily reflection book, reading one lesson each day. Doing so will allow you to ponder one lesson from her saintly life at a time, so as to absorb the sweetness of her love and the depth of her life. However, you might find it just as beneficial to read several lessons at a time. This book is not intended to be a “onetime read.” Rather, the lessons we learn from Saint Thérèse’s life are worth absorbing many times over. The reflection and prayer after each lesson make this book a helpful source of daily self-examination and prayer throughout life. You who are parents might also find the lessons of St. Thérèse of benefit in the formation of your children. Telling Little Thérèse’s stories will inspire and challenge your children as they grow and mature in their own lives of faith. To our Blessed Mother who was very dear to Saint Thérèse, especially under the title of “Our Lady of the Smile.” May the sweet smile of charity which flows from our Mother in Heaven shine on all who read this book and are touched by the faith, hope and charity shining forth from the heart of Saint Thérèse. “John Paul Thomas” is a pen name chosen by this priest in honor of the Apostles Saints John and Thomas and the great evangelist Saint Paul. This name also evokes the memory of the great Pope Saint John Paul II. John is the beloved Apostle who sought out a deeply personal and intimate relationship with his Savior. Hopefully the writings in this book point us all to a deeply personal and intimate relationship with our God. May John be a model of this intimacy and love. Thomas is also a beloved Apostle and close friend of Jesus but is best known for his lack of faith in Jesus’ resurrection. Though he ultimately entered into a profound faith crying out, “my Lord and my God,” he is given to us as a model of our own weakness of faith. Thomas should inspire us to always return to faith after struggling with doubt. For coming he doubted, doubting he saw, seeing he touched, touching he believed, and believing he shared. As a Pharisee, Paul severely persecuted the early Christian Church. However, after experiencing a powerful conversion, he went on to become the great evangelist to the gentiles, founding many new communities of believers and writing numerous letters found in Sacred Scripture. His writings are deeply personal and reveal a shepherd’s heart. He is a model for all as we seek to embrace our calling to spread the Gospel. I have always admired Saint Thérèse and have read her writings on and off over the years. However, I must admit that I never fully understood what it was that made her so great, and why she, above so many others, would be considered a Doctor of the Church. Because she was given this title in 1997 by arguably the greatest pope in modern history, Saint John Paul the Great, I was drawn to inquire more deeply into her life and virtue. What I discovered is that which has been discovered by so many others since the first publication of her autobiography in 1898: the Story of a Soul is truly a spiritual masterpiece! The first manuscript of her autobiography included her memories from childhood through the time she made her final vows as a Carmelite sister. Interestingly, this manuscript shared more than just her memories. It also presented, in vivid detail, the workings of grace on a pure and humble soul. Little Thérèse is seen as a very ordinary child who was blessed with a loving family and who, in turn, loved her family with deep affection and charity. Her autobiography invites the reader to watch how God takes a little child of four and slowly, lovingly, tenderly, firmly and continuously forms her into a saint. It also shows the development of Thérèse’s faith as she experienced God call her, correct her, guide her, inspire her and lead her down the path He had chosen for her. Thérèse responded beautifully to that call and devoted her whole being to the complete embrace of God’s will for her life. The last two manuscripts of Sister Thérèse’s autobiography are reflected upon in Chapters Nine and Ten of this book. As I prayerfully pondered those two manuscripts, which speak of her Little Way and her life as a religious sister, I was struck by the depth, beauty, wisdom and love that flow from those pages. Her understanding of God and the precepts of His love will help you cut through the complexities of life and redirect your heart to that which is important: God and His perfect law of Love. 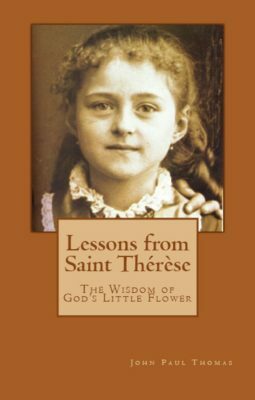 Upon completing this book, Lessons from Saint Thérèse: The Wisdom of God’s Little Flower, I offer one personal conclusion which has already been discovered by countless others over the past century: Saint Thérèse is a beautiful soul! Her heart is pure, free, expressive, gentle, unwavering, perceptive, and imbued with overflowing charity. Her faith was unshakable no matter what suffering she endured. In fact, the deeper her interior and exterior suffering, the more purified and strengthened her faith became. Her hope was a pillar of iron which was immovably directed toward Heaven. Nothing deterred her from her goal and, by God’s abundant mercy, she was granted her desire early in life. The Life of Saint Thérèse is not just for scholars, saints, priests, theologians or consecrated religious. Her life is also for the most ordinary soul to contemplate. Her daily experiences as a child will inspire you and challenge you. Her life as a religious sister will draw you into a deeper reflection upon your own life, offering practical advice for holiness. And her saintly death should help to clarify your own goals in life so that you can more easily direct all your actions to the one and most important goal any one of us could have: Heaven. Saint Thérèse, you promised that you would not rest in Heaven until the end of the world. Pray for me and win for me an abundance of grace as I ponder the many lessons of your life in these pages. I open myself to the mysteries of Grace and Heaven, and I ask our dear Lord to challenge me, correct me and inspire me in the ways I need most. May your life, dear Little Flower, bloom in my own heart and may the fragrance of God’s mercy permeate my soul so that I, like you, may “sing of the mercies of the Lord forever!” Saint Thérèse, pray for us!